between the ground and the underside of the lowest floor structural component. This Section sets forth the minimum standards of practice required of licensed home inspectors and licensed associate home inspectors. 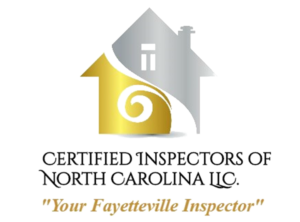 In this Section, the term “home inspectors” means both licensed home inspectors and licensed associate home inspectors. (a) Home inspections done in accordance with this Section are not technically exhaustive. (1) Offer or perform any act or service contrary to law; or (2) Offer or perform engineering, architectural, plumbing, electrical or any other job function requiring an occupational license in the jurisdiction where the inspection is taking place, unless the home inspector holds a valid occupational license, in which case the home inspector shall inform the client that the home inspector is so licensed, and therefore qualified to go beyond this Section and perform additional inspections beyond those within the scope of the Standards of Practice. abnormal or harmful condensation on building components. courts, playground equipment, and other exercise, entertainment, or athletic facilities); except as otherwise provided in 11 NCAC 8.1109(d)(5)(F); (8) Detached buildings or structures; or (9) For the presence or condition of buried fuel storage tanks. (1) Walk on the roofing; or (2) Inspect attached accessories including solar systems, antennae, and lightning arrestors. location; and (4) The location of any main water supply shutoff device. (c) The home inspector shall operate all plumbing fixtures, including their faucets and all exterior faucets attached to the house, except where the flow end of the faucet is connected to an appliance. (A) Water conditioning systems; (B) Fire and lawn sprinkler systems; (C) On-site water supply quantity and quality; (D) On-site waste disposal systems; (E) Foundation irrigation systems; (F) Bathroom spas, except as to functional flow and functional drainage; (G) Swimming pools; (H) Solar water heating equipment; or (6) Inspect the system for proper sizing, design, or use of proper materials. (1) Electrical service amperage and voltage; (2) Electrical service entry conductor materials; (3) The electrical service type as being overhead or underground; and (4) The location of main and distribution panels. (c) The home inspector shall report in writing the presence of any readily accessible single strand aluminum branch circuit wiring. (d) The home inspector shall report in writing on the presence or absence of smoke detectors, and permanently installed carbon monoxide alarms in any homes with fuel fired appliances or attached garages, and operate their test function, if accessible, except when detectors are part of a central system. (1) Energy source; and (2) Heating equipment and distribution type. (c) The home inspector shall operate the systems using normal operating controls. (A) The interior of flues; (B) Fireplace insert flue connections; (C) Heat exchanges; (D) Humidifiers; (E) Electronic air filters; (F) The uniformity or adequacy of heat supply to the various rooms; or (G) Solar space heating equipment. (1) Energy sources; and (2) Cooling equipment type. (c) The home inspector shall operate the systems using normal operating controls. equipment damage; (2) Inspect window air conditioners; or (3) Inspect the uniformity or adequacy of cool-air supply to the various rooms. earth-filled stoops or porches, and at exterior doors. matters to the public. (j) Licensees shall not inspect properties under contingent arrangements whereby any compensation or future referrals are dependent on reported findings or on the sale of a property.